The General Secretariat directs all the administrative and financial aspects of the Union’s activities, including the implementation of the provisions of the administrative regulations on operational questions, the dissemination of information on telecommunication matters for operational and other purposes, the provision of legal advice to the Bureaux of the Union and the departments of the General Secretariat, logistic support to the Union’s activities including conferences, the coordination of the work of the Union with other international organizations, the dissemination of information to the Member States and Sector Members, press, corporate and individual users of telecommunications and the general public. The General Secretariat is also responsible for the organization of world telecommunication exhibitions and forums. Within the General Secretariat, the Human Resources Management Department (HRMD) advises the Secretary General on human resources management. It manages ITU’s resources ensuring consistency with ITU strategies, policies, regulations and rules as well as UN Common System policies. It efficiently manages the human capital of the Union; creates a stimulating and supportive work environment and encourages organizational creativity and performance measurement based on results. Management and Development related training programmes. 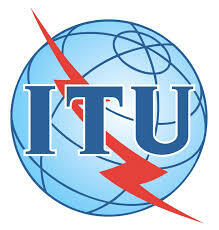 S/he will also have the opportunity, to contribute to the implementation of the ITU Technical Competencies Catalogue Project as well as to the design communication materials and reports. Contribute to the updating and enhancement of the Human Resources Reporting and Statistics. Experience in using Presentations and Data visualization tools and would be an asset.